In a culture where “white privilege” exists, Christians must work to ensure that all members of society have access to the same rights, Southern Baptist Convention President J.D. Greear said. The pastor said that after talking with many of his “brothers and sisters of color,” he came to understand the issue on a deeper level. One of those individuals was George Yancey, an African-American sociologist from North Texas University, who explained that the term “privilege” was first developed by a white woman in the 1980s to talk not about race but male privilege in academics. So privilege is not an exclusively racial thing (those who are good looking also enjoy certain benefits). But the term was later applied to race. Is there a privilege that you get from being white? This white privilege, which was defined in the podcast as “an invisible package of unearned assets that whites can count on cashing in each day,” can range from something innocent to something harmful. Greear pointed out examples of where there is a social advantage in being white in the United States than in being non-white. “When I get pulled over by the police, I've never one time questioned whether or not it was because of my race,” he said. “Every person of color I know has some story that goes back to this happening where ... there was a line of questioning that was being given to them because they were a certain race. "There is a clerk following you in the store because they assume maybe you'll steal something." When it comes to employment, the person who is hiring might naturally be drawn to people who look like them. And when it comes to the justice system, race may be a factor in a person's sentencing, Greear noted, citing evidence indicating that being a person of color increases the likelihood that the death penalty is given. “If there's a burden of being a person of privilege, of whatever kind of privilege it is, that is to leverage it so that others can experience what you experience,” Grear said. So how should Christians respond? “If I've been given any privilege in whatever situation, I'm going to leverage that not for self, but leverage it to lift others up," the pastor said. Regardless of race, gender or class, if you follow the acronym DESK (diploma, employment, spouse, kids), then you will most likely succeed in life, Greear remembered someone saying. But many believe the playing field is so unequal to begin with. “As a Christian, whether you adopt more of a progressive or a conservative approach, you can care about this issue and want to see all people in our culture treated with dignity and experience the same privileges that any of us do." A fellow Southern Baptist, Pastor Matt Chandler from Texas, has also spoken out about "white privilege" in recent years, lamenting its reality. "The challenge with white privilege is that most white people cannot see it," Chandler said in 2014 following the shooting of Michael Brown, an African-American teen, by a police officer in Ferguson, Missouri. "We assume that the experiences and opportunities afforded to us are the same afforded to others. Sadly, this simply isn't true." The Southern Baptist Convention has made efforts to acknowledge and seek forgiveness as part of an endeavor to recognize their past moral failings on race issues. 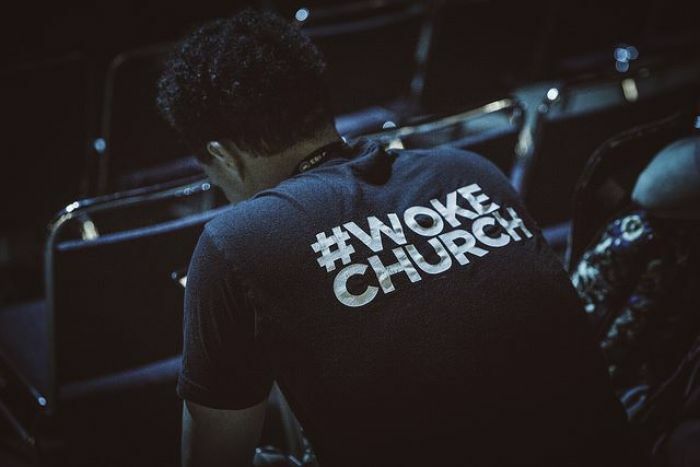 The SBC's public policy arm, the Ethics & Religious Liberty Commission, has also been focused on racial reconciliation in recent years, with president Russell Moore calling racism "anti-Christ." "What would it say to the world around us if they saw our churches made up of every tribe and tongue and nation and language serving one another, loving one another?" he said. "What they would see is a sign of contradiction to the outside watching world."